Recent advancements in recording technology has made it easier than ever before for anyone with computer access to create and distribute their work from the comfort of home. Paradoxically, these advances also allow artists to hide themselves within their songs. There are countless effects and tools designed to manipulate (or replace) singing, to minimize the human voice. Tokyo’s Elen Never Sleeps, the solo project of Hirotaka Kajiwara, has bucked this trend over the course of his young career, letting his voice — and all its charming imperfections — come through nice and clear. His latest EP, “Rum,” is his most vocally daring to date, and his embrace of his own voice makes for an earnest and intriguing listen. Despite often dipping into dream-pop territory, Kajiwara has always been unreserved about his singing and lyrics, which often lean toward the poetic. He’s pushing himself further than before on “Rum.” The driving indie-pop of “Skyline” resembles American outfit The Drums (especially the vocal “do-do-dos” before the verses proper), but Kajiwara ratchets up the emotional impact of the chorus when he sings the line, “It’s never been like that / it’s never been like that / we all seem yellow,” delivered in near caterwaul. He even emulates Icelandic singer Björk’s unchained vocal style on EP highlight “Emerald,” the hook making the hazy sounds around it seem more urgent. The bulk of “Rum,” though, gains a level of intimacy from Kajiwara’s rough singing. The title track, an easygoing shuffle, features vocals that come off like they are being delivered right next to the listener’s ear, making a line like “too hot inside of you” all the more seductive. The same goes for a mention of “body heat” on the skeletal “Saudade,” Kajiwara’s singing implying intense physical desire. “Rum” isn’t Elen Never Sleeps’ best album this year, that would be the “Silver” EP released back in spring (it isn’t as vocally daring but features better songwriting). However, thanks to how naked it sounds, this five-song collection is one of the strongest displays of vocals to emerge from Tokyo’s indie-rock scene in 2013. 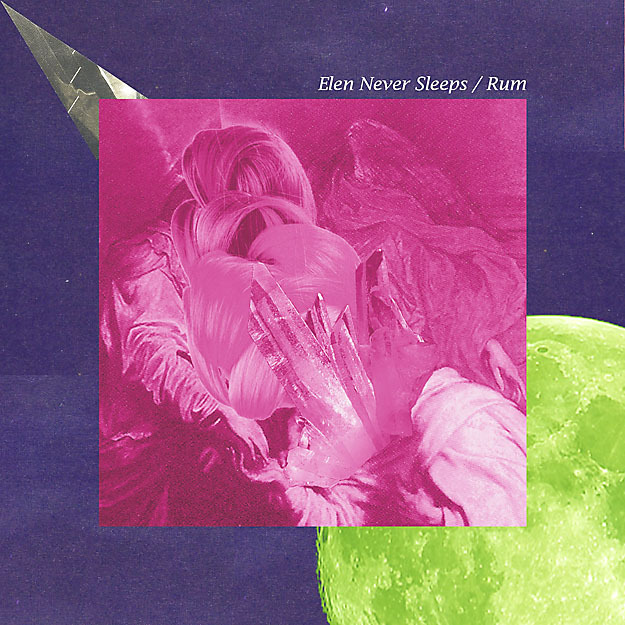 Elen Never Sleeps’ “Rum” EP is available for download from the singer’s Bandcamp page at elenneversleeps.bandcamp.com/album/rum-ep.